Mark Chambers is a conductor, cellist and early music specialist. He studied cello with Martha Gerschefski, Lubomir Georgiev and David Miller, and has performed extensively in the United States and Ontario as both a chamber musician and orchestral player. At York University, Dr. Chambers is the Graduate Program Director of Music, Cello/Viola da Gamba instructor and conducts the York University Symphony Orchestra.He performs in a trio with his faculty colleague and clarinetist Patricia Wait and York alumna and pianist, Elizabeth Acker. He is also very active as a clinician and adjudicator throughout southern Ontario. 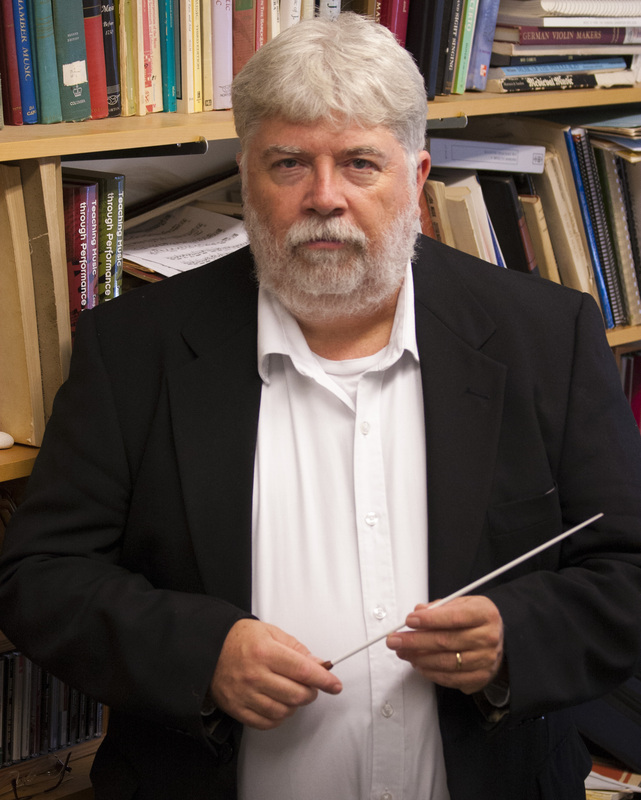 A former Theodore Presser Foundation Fellow, Dr. Chambers’ research interests include Baroque music, period instrument performance practice, the ‘Tartini Tone’, and scordatura, altered tunings for strings. He has authored several articles for the American String Teachers Journal and is a contributor to the New Grove Dictionary of Music and Musicians. Dr. Chambers recently released his first solo CD, “Canadian Voices: Works for Solo Cello” featuring unaccompanied cello works by Canadian composers, David Lidov, Al Henderson, Brent Lee and Stephen Brown.